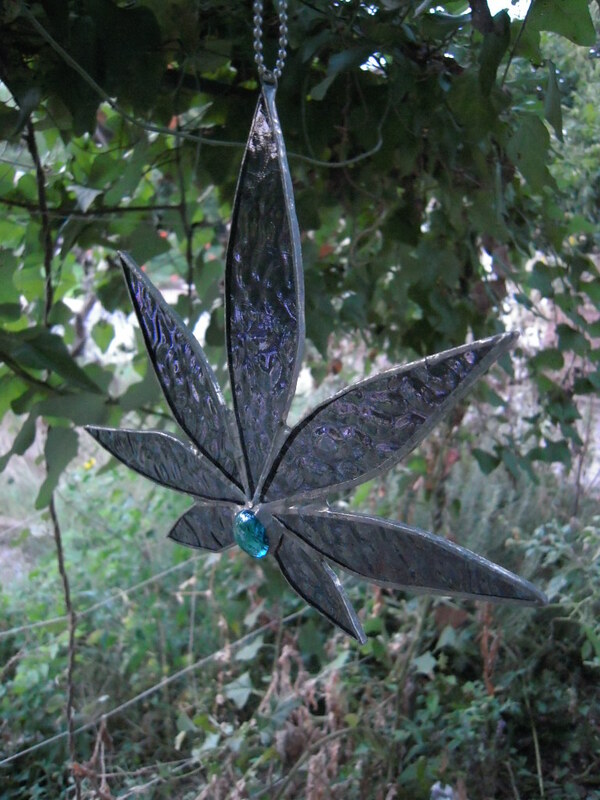 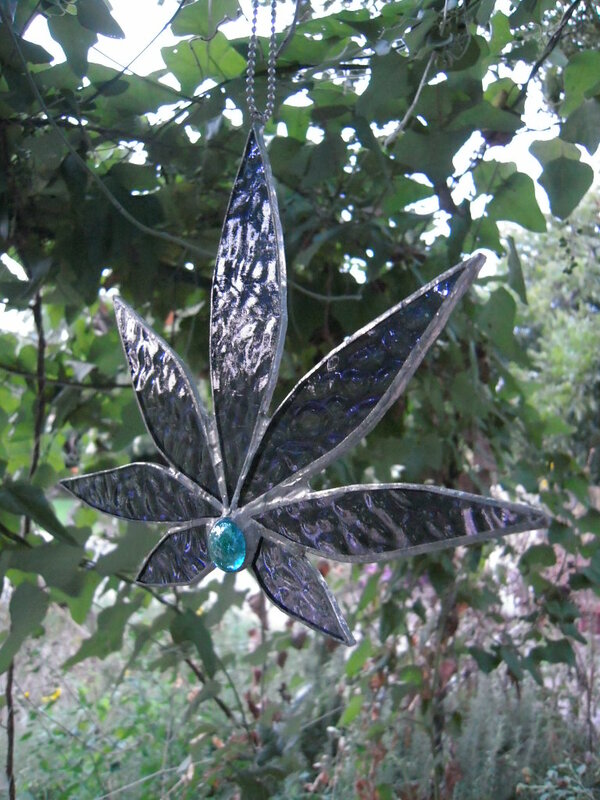 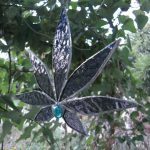 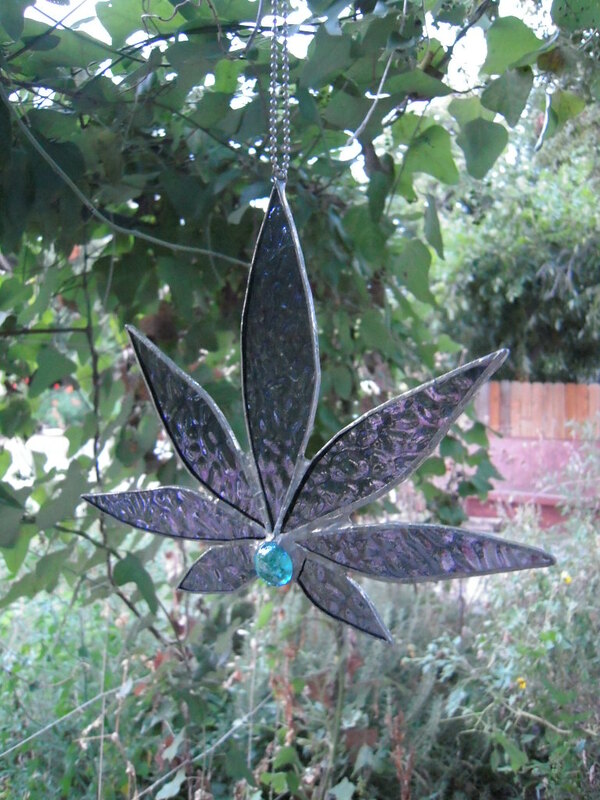 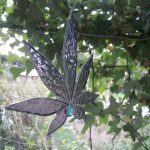 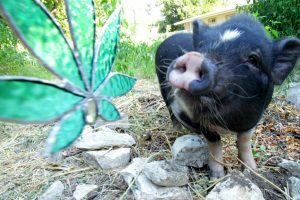 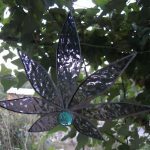 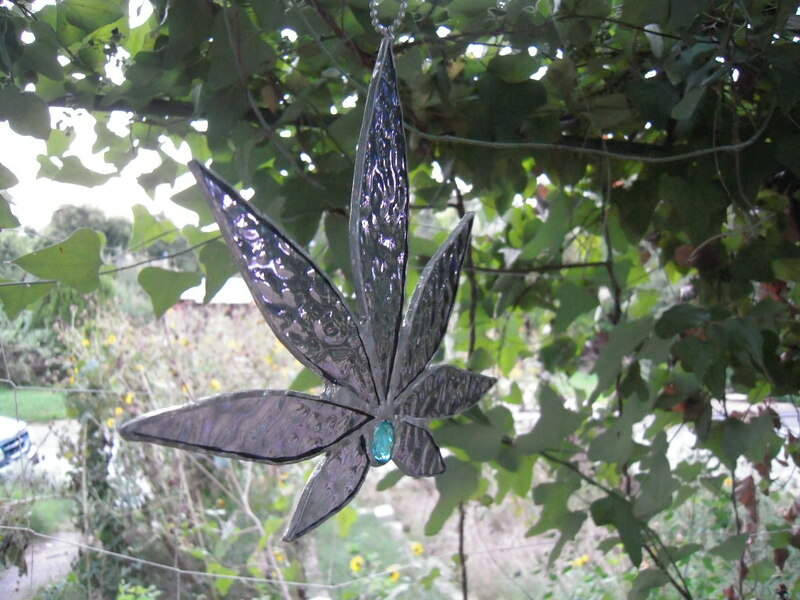 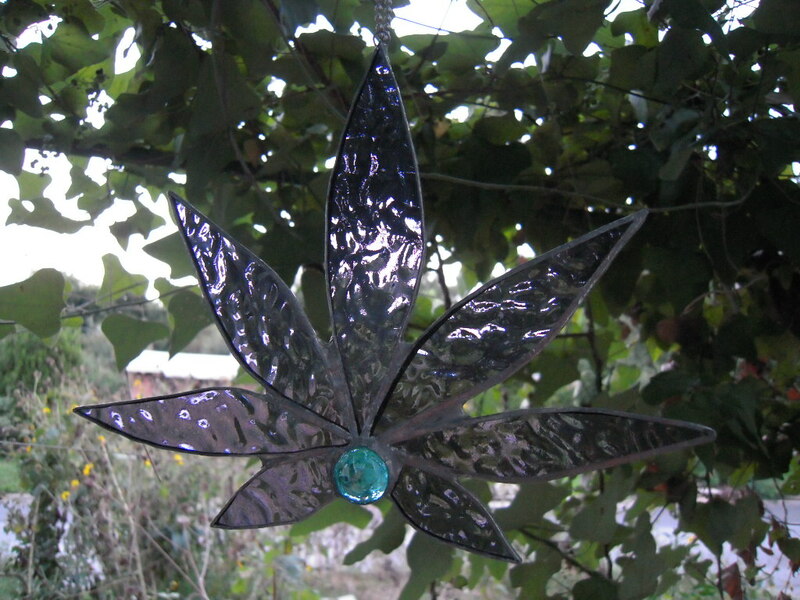 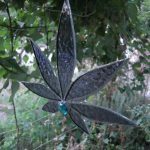 ONLY 9 of these beautiful Handcrafted Stained Glass Leaf sun-catchers remain! 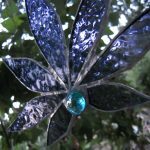 They are some of my early works and I am offering the final 9 in stock! 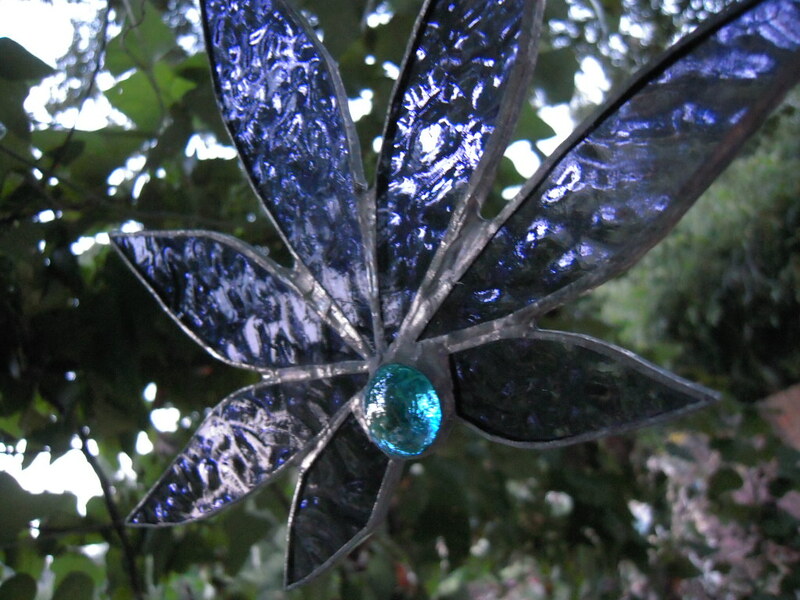 Textured PURPLE with Blue focal flat backed marble – #1/9 remaining.